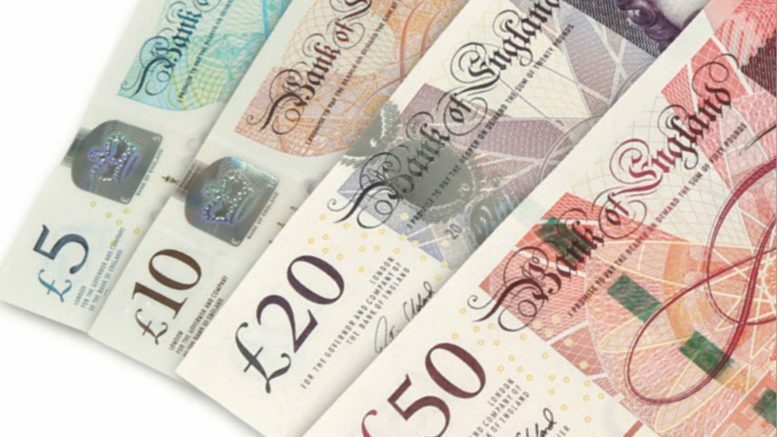 The pound sterling dropped and then recovered on Tuesday as the U.K. Parliament voted overwhelmingly to reject the Brexit deal currently on the table. The British pound/dollar was at 1.2849 at 8:29 A.M. SGT after trading in a 1.2668 to 1.2916 range on Tuesday, according to DZHI data. Prime Minister Theresa May’s deal with the EU went down in flames in Parliament, with MPs voting against the plan 432 to 202. That was followed quickly by opposition Labour leader Jeremy Corbin filing a no confidence motion in the Tory government, which could trigger a general election if Tory MPs come on board — although some analysts believe that isn’t likely. The vote didn’t have much of an impact on Wall Street, as the defeat itself was widely expected, with only the final result closely watched. But reports suggested Asian investors may be more worried about the possibility of a “no deal” Brexit and the implications for European operations. Greg Gibbs, analyst at Amplifying Global FX Capital, said in a note Tuesday U.S. time that pound sterling was set to rise ahead as the risk of a no-deal Brexit gets priced out. The U.S. dollar index, which measures the greenback against a basket of currencies, was at 95.96 at 7:05 A.M. SGT, rising from as low as 95.53 early in the previous session, but off levels as high as 96.24 touched Tuesday, according to ICE futures data. The 10-year U.S. Treasury note yield was at 2.709 percent at 8:22 A.M. SGT, rising from levels as low as 2.687 percent on Tuesday, according to Tullett Prebon data. The euro/dollar was at 1.1407 at 8:28 A.M. SGT after trading in a 1.1380 to 1.1490 range on Tuesday, according to DZHI data. The dollar/yen was at 108.537 at 8:29 A.M. SGT after trading in a 108.11 to 108.767 range on Tuesday, according to DZHI data. The dollar/yuan ended Tuesday at 6.7595 after trading in a 6.7376 to 6.7609 range during the session, according to DZHI data. The dollar/Singapore dollar was at 1.3552 at 8:29 A.M. SGT after trading in a 1.3509 to 1.3576 range on Tuesday, according to DZHI data. The dollar/Malaysian ringgit was at 4.1050 at 8:18 A.M. SGT after trading in a 4.0930 to 4.1055 range on Tuesday, according to DZHI data. The dollar/Indonesian rupiah was at 14,080 at Tuesday’s close after trading in a 14,050 to 14,100 range on Tuesday, according to DZHI data.